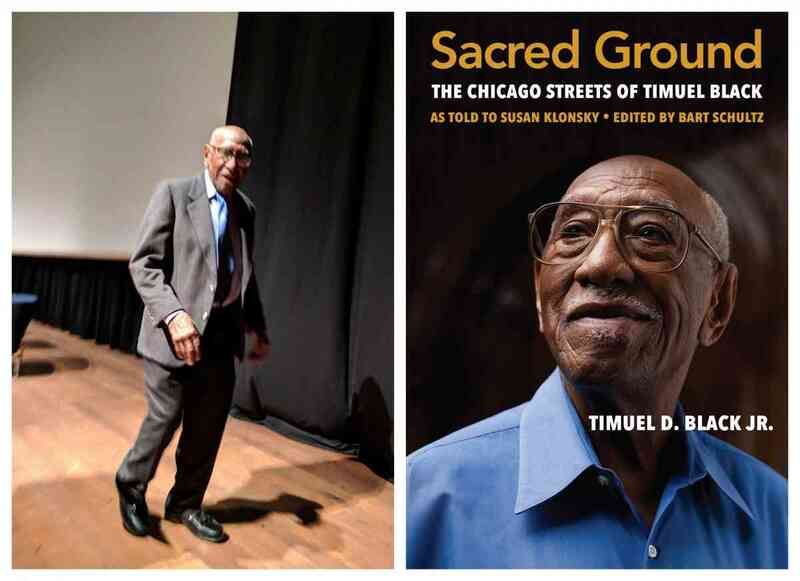 Timuel D. Black will discuss Sacred Ground: The Chicago Streets of Timuel Black. He will be joined in conversation by Susan Klonsky and Bart Schultz. A Q&A and signing will follow the discussion. About the book: The long-awaited memoir of Prof. Timuel D. Black, educator, oral historian, civil rights activist, and the Senior Statesman of Chicago's South Side. About the author: Timuel D. Black Jr. has spent his life furthering the cause of social justice, and his two volumes of oral histories, Bridges of Memory: Chicago's First Wave of Black Migration and Bridges of Memory: Chicago's Second Generation of Black Migration, published by Northwestern University Press, chronicle black Chicago history from the 1920s to the present.